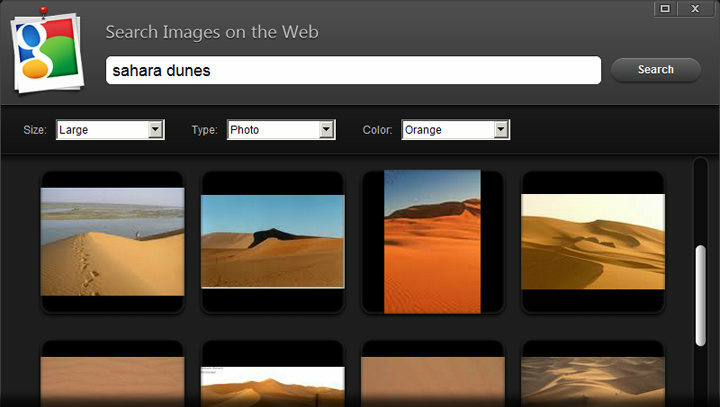 Search Images on the Web for your presentation. Enter your search keywords, choose your preferred size (e.g. large or small image, etc), select the image type (e.g. face, photo, etc), filter by color, and press Search. 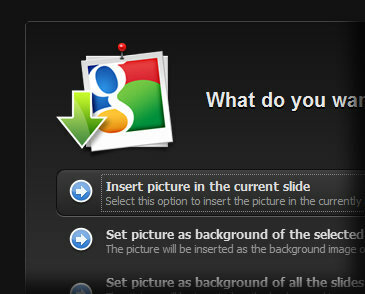 Easily insert the image in the current slide, or in background of your slides, or simply save it on disk.